At the beginning of every year, the camel wrestling festival of Selcuk, begins on the Aegean coast of Turkey. It will run to the end of March when one camel is chosen as the winner in a victorious celebration. It is a great honor for the owner of the camel who will spend all year ensuring his camel is in top condition for the wrestling match. 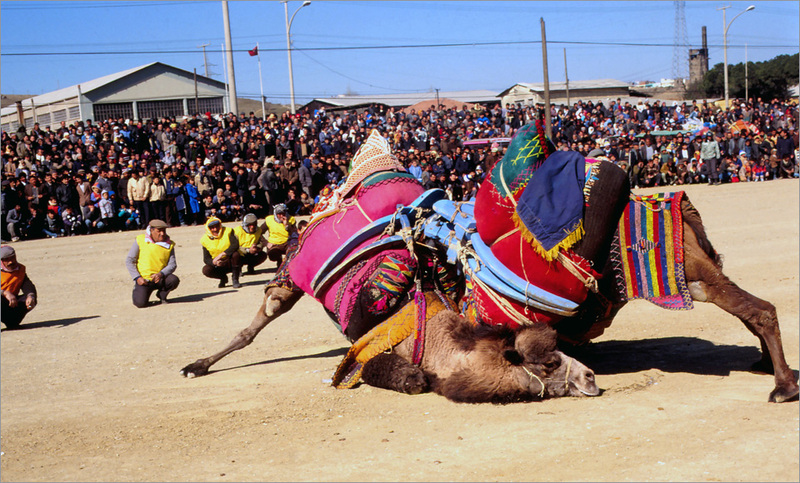 Throughout the event, bets are placed on camels who will wrestle each other to the ground with their long necks. Traditionally done during mating season, a female is often paraded in front of the male participants to ensure they wrestle with determination. During the match, if a camel runs away or is wrestled to the ground he loses. Twenty men surround the camels to separate them in case the match gets too violent or one camel simply does not want to give up. This tradition is over 2400 years old and every year more and more tourists are joining in the show as they get to learn about this rather unique and odd tradition. "The camels, in the season of love, are dangerous," Luis del Marmol Carvajal, a 16th century Spanish chronicler, observed during a voyage across North Africa. "This season continues 40 days, and, when past, they resume their ordinary mildness." Nonetheless, most of the pageant camels stand obediently awaiting their turn. But if one steps out of line or snaps at an owner, he's soundly rapped on the hoof with a cane. The caning is obviously painful, as the huge animals shudder at the sight of the proffered whacking stick. 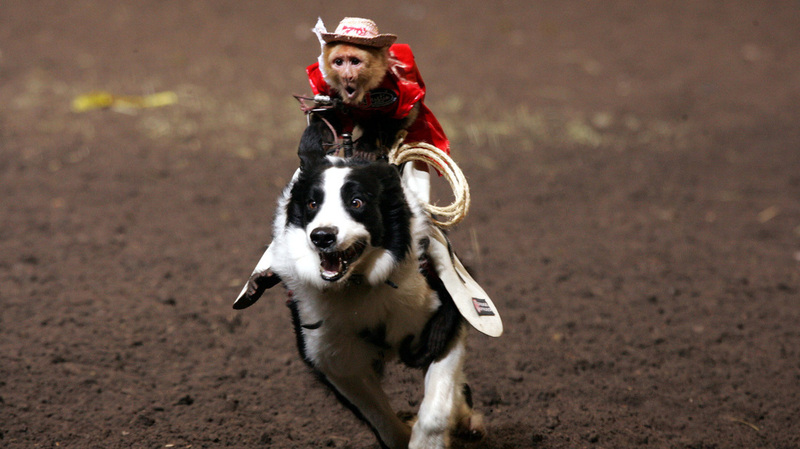 It’s a reminder that the event is stressful for the animals. 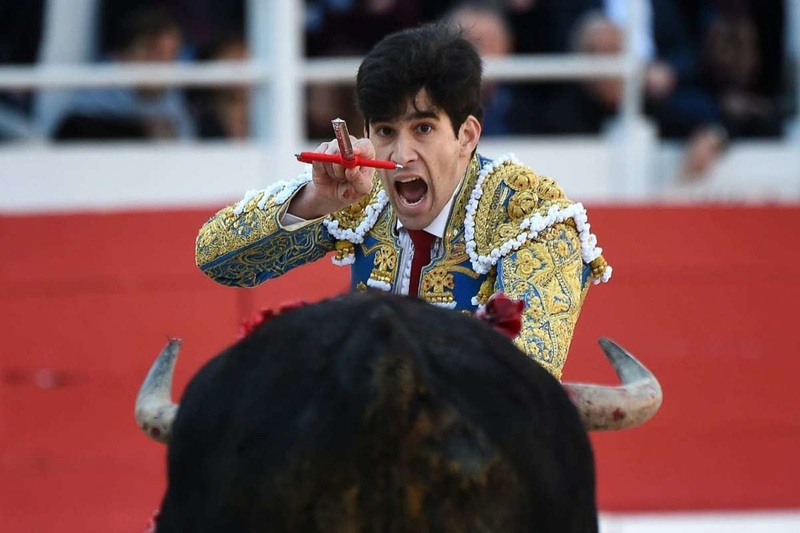 There's no organized opposition to the event, though in the past animal rights activists have complained that the contests are illegal and cruel. The fiesta Rapa das bestas in Spain dates back to the 15th century and is held every year in the first week of July. It comprises a noble confrontation between man and horse. At the celebration, young people from Sabucedo and the surrounding area (Pontevedra province, Region of Galicia) head for the mountains at dawn. Their aim is to find wild horses living in the area, bring them back to the village and cut their manes. When night falls, they all come together to enjoy food, music and wine.